Roland “Joe” Miller, age 87, passed away Monday evening, January 28, 2019 at The Pines Residential Care Center. He was born in St. Albans, August 6, 1931, son of the late John and Delia (Surprenant) Miller. 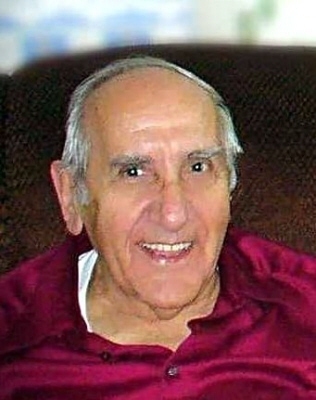 Joe served in the U. S. Army during the Korean War. When he returned, he married Claire Kimmel, June 8, 1956. Joe owned and operated Miller’s Automotive on South Main Street in St. Albans, eventually retiring in 1995. Joe and Claire enjoyed their retirement, taking many trips together, but Joe always had to check in at the garage and was a fixture there up until this past year. Joe is survived by his wife of 62 years, Claire, his son Richard “Dickie” Miller and his companion Kathy Paradee of Highgate, his step-son Russell Galer and his wife Donna of Toronto, ON, his grandchildren, Karen Cadieux of Highgate, and Amber Miller of Berkshire, his great-grandchildren Grace, Maria, Tailor, Brenna, Timmy and Annick. Besides his parents, Joe was predeceased by his brothers Lionel, Raymond, and Rosaire Miller, and his step-sister Noella Suprenant. A Funeral Service of Christian Burial will be celebrated Saturday, February 2, 2019 at 12:00 PM in the Brady & Levesque Funeral Chapel, 86 South Main Street, St. Albans. The family will receive condolences from 10:00 AM until the hour of the funeral. Arrangements are entrusted to the Brady & Levesque Funeral Home, where online condolences and memories may be shared with his family and friends at: www.bradyandlevesque.com. To plant a tree in memory of Roland Joseph Miller, please visit our Tribute Store. "Email Address" would like to share the life celebration of Roland Joseph Miller. Click on the "link" to go to share a favorite memory or leave a condolence message for the family.